Ruger has always been associated with quality and the officially licensed Ruger Rifle Case is a classic black case is no different. 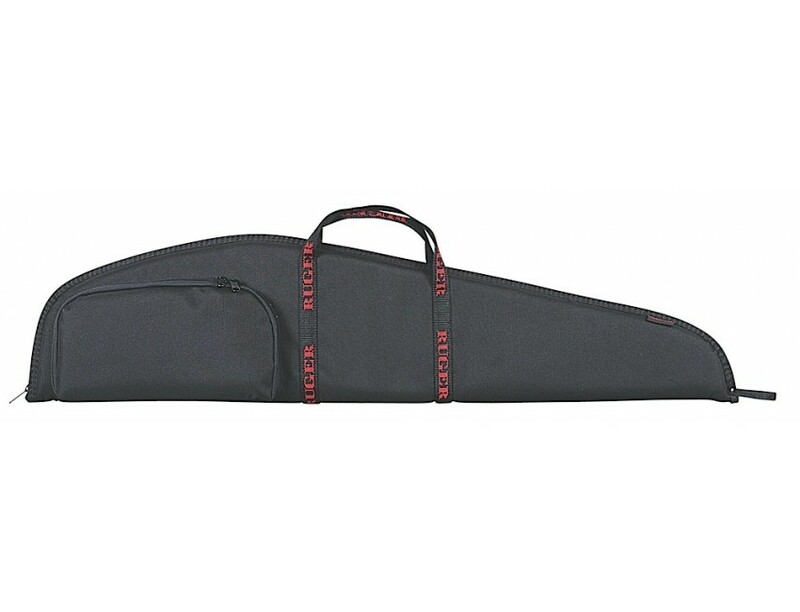 It comes with the Ruger name on the carry handles and a zippered accessory pocket to hold magazines & other accessories. The dense foam padding will keep your rifle secure and safe during transportation. This rifle case is made of rugged Endura fabric right here in the USA.This model has dimensions of: 10" x 42" x 2" and holds your 40" rifle. 10" x 42" x 2"